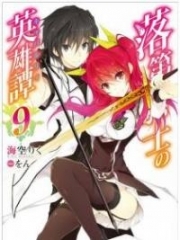 You’re reading novel King of Gods Chapter 356 - As You Wish online at LightNovelFree.com. Please use the follow button to get notification about the latest chapter next time when you visit LightNovelFree.com. Use F11 button to read novel in full-screen(PC only). Drop by anytime you want to read free – fast – latest novel. It’s great if you could leave a comment, share your opinion about the new chapters, new novel with others on the internet. We’ll do our best to bring you the finest, latest novel everyday. Enjoy! In the first battle against an overwhelming prodigy Zhao Feng was getting a beating. The ma.s.sive difference in strength gave him almost no chance of victory. Those watching could tell that G.o.ddess Bing Wei hadn’t used all her strength or else Zhao Feng would have lost already or even killed. Before Zhao Feng went up the blood hair coloured Tiemo had told him to admit defeat. It wasn’t a humiliation to admit defeat in front of an overwhelming prodigy. For many it was even an honour. The legend of the Northern continent Mo Tianyi had admitted defeat after one move against an overwhelming prodigy. It was a smart move that took the overall result into count. The blood hair coloured Tiemo couldn’t help but be somewhat panicked as he watched. He knew Zhao Feng’s talent and potential. Although it might not be comparable to Yu Tianhao’s but in another ten years it wasn’t impossible for him to become a new overwhelming prodigy. At least in this Sacred True Dragon Gathering no one his age did better than Zhao Feng. Countless eyes focused on the ancient arena. Even the Sovereigns in the air were watching with interest. Zhao Feng obviously knew that this was a wise choice but within the depths of his heart there was a voice, a power, a belief that if he said, ‘I admit defeat’ it would be harder than to reach the heavens. From the Green Leaf Village to the Sun Feather City to the Guangjun Province, Broken Moon Clan, Thirteen Alliance…. And now the Sacred True Dragon Gathering. Zhao Feng realised that he had never admitted defeat before, even back at the Zhao family when he was being beaten by Zhao Kun. He indeed hadn’t admitted defeat before. The only thing he had done was lose on purpose to Sister Ran. It was because of this belief that Zhao Feng could surpa.s.s one genius after another. Zhao Feng suddenly understand that this was his belief. A faint azure lightning fire flashed in Zhao Feng’s eye. A ball of azure lightning fire landed on G.o.ddess Bing Wei’s body with an explosion. After comprehending the root of laws his Lightning Fire G.o.d Eyes’ power had risen another level and become easier to use. Many people exclaimed as they saw a faint azure lightning fire burn chaotically on G.o.ddess Bing Wei’s body. 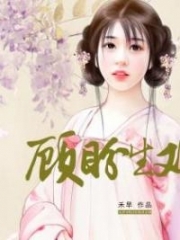 G.o.ddess Bing Wei smiled as her skin became as smooth as jade. s.h.i.+ning and bright. The lightning fire landed on her body and started to burn but nothing happened to her. Zhao Feng’s eye techniques could instantly defeat anyone under the True Mystic Rank and critically harm normal True Mystic Ranks. The lightning fires burning was extremely powerful but couldn’t break through G.o.ddess Bing Wei’s defence. G.o.ddess Bing Wei furrowed her eyebrows as her jade skin released a coldness that put out the lightning fire. Although the lightning fire couldn’t harm her body it had entered her mental energy dimension and almost injured her mind, creating a little trouble. Zhao Feng’s skill attacked both the physical and mental energy world at once. This was the profound part of it. Zhao Feng couldn’t help but take in a cold breath when he came to this conclusion. Seeing this scene, the other four overwhelming prodigies were also stunned. This meant that with the Mystic Ice Jade Charming Body, G.o.ddess Bing Wei could ignore attacks from normal early stage True Mystic Ranks and even some normal late stage cultivators. Zhao Feng’s aim had been achieved. A three-coloured petal appeared below Zhao Feng’s feet and with this, Zhao Feng’s defence rose greatly. He circulated his bloodline power furiously and his Qi of True Spirit quickly returned to normal. The Three Flowered Treasured Lotus extended its three azure, blue and purple petals, forming a three-coloured barrier. This way Zhao Feng’s danger was solved for the moment. G.o.ddess Bing Wei recovered and sent a wave of chilling wind over. Zhao Feng didn’t dodge and forcefully took this. .h.i.t as the three-coloured barrier started to crack. The ice light figure and throne of ice quickly absorbed this energy and Zhao Feng felt a coldness enter his body but luckily was nullified by his bloodline power. G.o.ddess Bing Wei paused. She didn’t think that Zhao Feng would be able to get time to recover from just a Lightning Fire G.o.d’s Eye. G.o.ddess Bing Wei’s coldness increased as she waved her hand and a large figure of an ice mountain dropped from the air. This move was twice as strong as the one before and could crush the opponent as well as suppress targets with strong defence. Zhao Feng’s expression changed as he felt a terrifying cold pressure descend. It was as if an entire ice mountain was falling. It wasn’t something a human could block. Zhao Feng circulated his Qi of True Spirit and bloodline power as his two arms sent the Mystic Flower Lightning Palm onto the ice mountain. Zhao Feng’s most powerful move blossomed in the air. This palm contained both the Lightning Inheritance and Mystic Flower Treasured Bible. His bloodline power also circulated to the limit. In that instant a crack could be seen in the ice mountain. The spectating geniuses in the ancient arena felt their hearts jump. A cold voice that chilled straight to the bone resounded across the stage. The large ice mountain cracks recovered and then crushed down once more. At that moment in time the large ice mountain landed above Zhao Feng and the weight and coldness brewed downwards. If it wasn’t because of his Three Flowered Treasured Lotus and ice throne, Zhao Feng would have been laid down and suppressed by G.o.ddess Bing Wei. Under this situation Zhao Feng could only crazily circulate his Qi of True Spirit and bloodline power but the weight and coldness continued, making his face go bright red. The ice figure behind him kept on absorbing the coldness and the bloodline within his power began to become chaotic after nullifying too much coldness. Zhao Feng found that the chaotic ice feeling in his bloodline was becoming stronger. All his bloodline was facing the ice mountain’s pressure and the ice figure on the throne kept on absorbing the coldness. It was in an unstable state and that blue blood was sparkling. 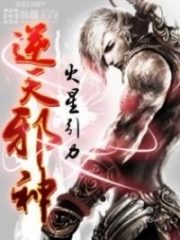 Zhao Feng found that he was becoming stronger and stronger and his bloodline cold power was becoming more chaotic. This continued for several breaths as Zhao Feng’s body and bloodline had reached a limit. G.o.ddess Bing Wei exclaimed and slammed her jade hand downwards, increasing and replenis.h.i.+ng the ice mountain’s power. Zhao Feng spat out a mouthful of blood and his bloodline power finally exploded. Zhao Feng felt his body hum and his faint blue bloating blood suddenly release a light. The bloodline across his entire body started to sparkle and on the surface of Zhao Feng’s skin faint blue precise lines appeared like a crystal layer. Zhao Feng’s strength increased and his bloodline power finally lasted through the ice mountain. Retracing one’s bloodline back to their ancestor was a taxing and arduous process that was even harder to increase cultivation but most geniuses awakened their bloodlines or strengthened their bloodlines when facing a life or death situation. w.a.n.g Xiaoguai was someone like this. He always fought with no regard to his life. This was the first time Zhao Feng’s bloodline power had retraced a step back to its ancestor. His path had been too smooth and didn’t meet too much desperate situations. Now in this current situation his bloodline power finally activated. After his bloodline power retraced a step back Zhao Feng’s power and ice element both rose. The ice mountain was finally blocked by Zhao Feng and the ice figure and throne behind him became clearer and gave him more protection. G.o.ddess Bing Wei was angered and shocked. All of this was because of her. If she hadn’t used her ice element powers or brought so much pressure, how could Zhao Feng achieve this? G.o.ddess Bing Wei’s eyes were chilly and she waved her hand, interacting more with the heaven Earth Yuan Qi. The shape of the ice mountain rose to forty to fifty yards and became colder. Tiemo’s expression changed dramatically as G.o.ddess Bing Wei finally went crazy and didn’t hold back anymore. Zhao Feng didn’t admit defeat and smiled instead. His two hands pushed into the ice mountain and slowly closed his eyes. He had expended a large amount of Qi of True Spirit within his dantian but at the same time a more concealed and pure Source of True Spirit was replenis.h.i.+ng him. It was the Water Moon Pirate’s Source of True Spirit that Zhao Feng always kept hidden. Zhao Feng suddenly took a deep breath and a stronger Qi of True Spirit surged from his Source of True Spirit. The bottleneck of the late stages of the True Human Rank was like a paper that just easily got pierced through. You're reading novel King of Gods Chapter 356 - As You Wish online at LightNovelFree.com. You can use the follow function to bookmark your favorite novel ( Only for registered users ). If you find any errors ( broken links, can't load photos, etc.. ), Please let us know so we can fix it as soon as possible. And when you start a conversation or debate about a certain topic with other people, please do not offend them just because you don't like their opinions. You're reading King of Gods Chapter 356 - As You Wish. This novel has been translated by Updating. 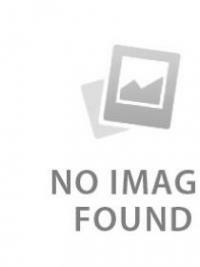 Author: Fast Food Resturant,快餐店 already has 8392 views. Current Time is Apr-20-2019 06:23:15 AM.